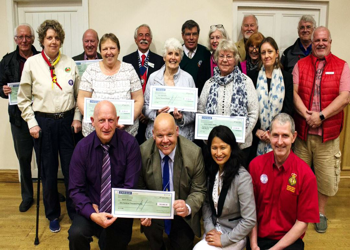 The aim of Selsey Town Council's bi-annual grant programme is to provide support to projects, groups and events which offer a clear and demonstrable benefit to the residents and town of Selsey. Selsey Town Council considers grant applications twice each year, subject to a maximum annual budget. The deadline for applications will be 25th February and 25th August each year. Applications are evaluated by the first meeting of the Finance & Administration Advisory Group following the deadline and their recommendations considered by Full Council. All awards are made at the discretion of Selsey Town Council and any decision made will be final.